a. 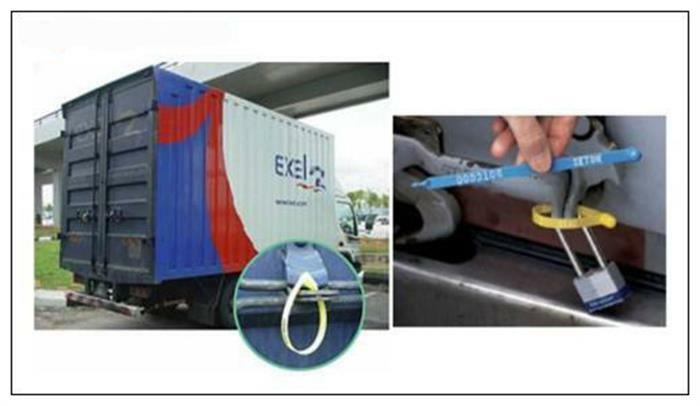 First, choose a manufacturer with a good quality credit guarantee to purchase container seals. It should not be too casually purchased by a manufacturer. For the goods, there is definitely a potential safety hazard. In addition, the contract must be signed with the manufacturer before ordering, and the manufacturer is required to promise not to provide the third party with a seal with the same identifier and number, so as to ensure the uniqueness of the seal. b. It is best not to select products that have the same size, color, size, and shape for each type of seal. Such seals can be easily copied and increase the danger of the goods. To buy a moderately priced container seal, because the seal has a certain manufacturing cost. Some seals appear to be cheap, and it is likely that cutting corners has reduced costs, and problems are easily caused during use, even causing unnecessary losses. a. After the shipment of goods is completed, the person responsible for shipment, the shipper, the supervisor, and the carrier must perform a final check. b. After verification, the locker needs to close the door and lock the locker under the supervision of the supervisor. c. After closing the cabinet door, the locker must immediately seal the container door with a seal. d, to be confirmed that the closed cabinet is correct, container lock management personnel do a good job of complete seal records.